This Post has already been read 627 times. 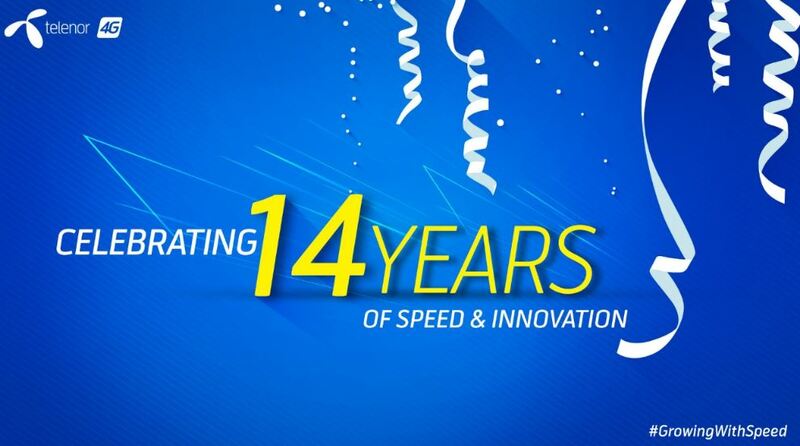 During the past 14 years, Telenor Pakistan has powered the country’s digital ecosystem using a multilateral approach that includes continuous increase in network footprint, innovative products & services, and making connectivity affordable. Besides ensuring best-in-class services and expanding our network to underserved and unserved areas, Telenor Pakistan’s portfolio of affordable data devices and services is enabling accelerated digital uptake in the country. Initiatives like Telenor Velocity, Youth Forum (TYF) and Ignite encourage a sustainable entrepreneurial mindset across the country and within Telenor Pakistan. Telenor Pakistan has made substantial contributions in the form of investment in the country that include over $3.5 billion in spectrum and infrastructure, over $2.5 billion in the national exchequer, and over $70 million in the new Islamabad HQ. Telenor Pakistan’s impact on the society has also been significant with over 1,600 direct jobs, enablement of the wider economy, and measures for sustainability in the supply chain. The impact that the company’s digital interventions are making in areas like financial services, agriculture, and ensuring easy access of civic rights through digital birth registration is redefining sustainability and setting new standards.